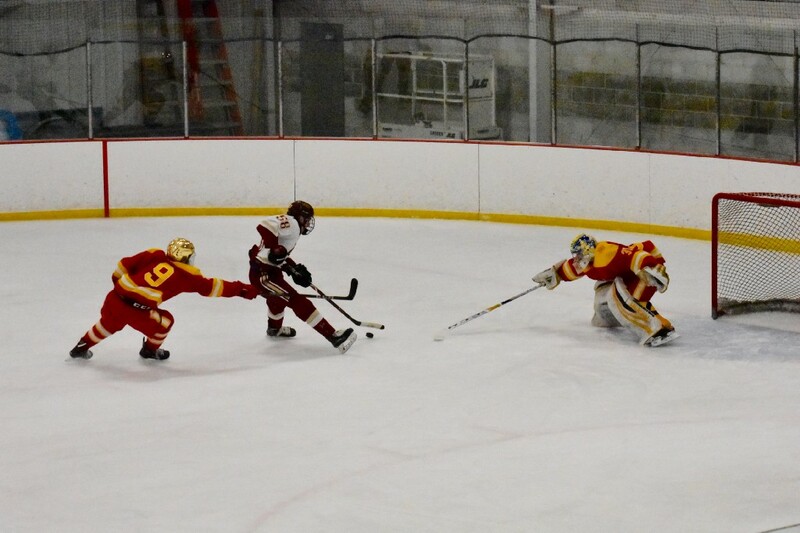 Domenic Garozzo skates toward the Bergen Catholic goal during a recent game at Hollydell Ice Arena. 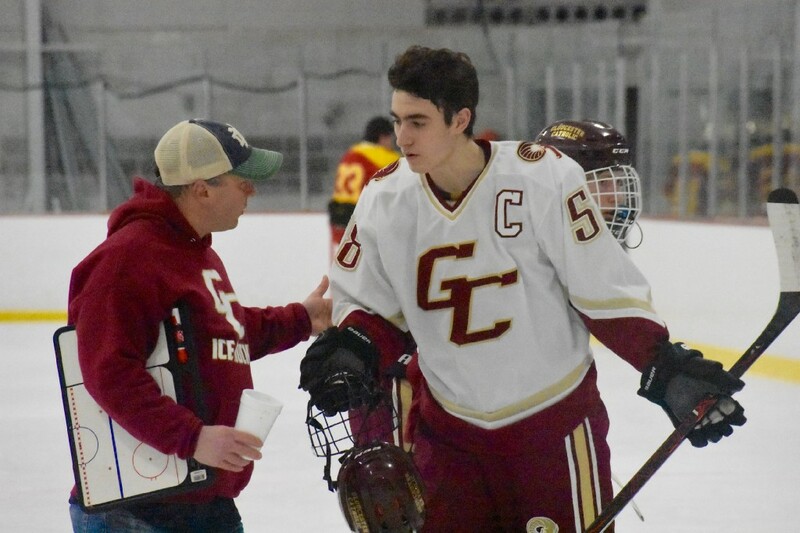 (RYAN LAWRENCE, The Sun) Insert photo, of a young Garozzo meeting up with GCHS grad Johnny Gaudreau at Boston College, provided by Garozzo family. For many Little Leaguers, midget football players, and youth hockey, basketball, or soccer players around the country, growing up to become a pro athlete is the dream. As they get older and make the jump from grade school to middle school and then middle school to high school, it can begin to feel more like a pipe dream. With age comes wisdom, and reality can cloud the fantasies you played out in your backyard or local ice rink. But it’s easier to keep those childhood daydreams alive when you have a living, breathing example of a sports success story who came through your high school. 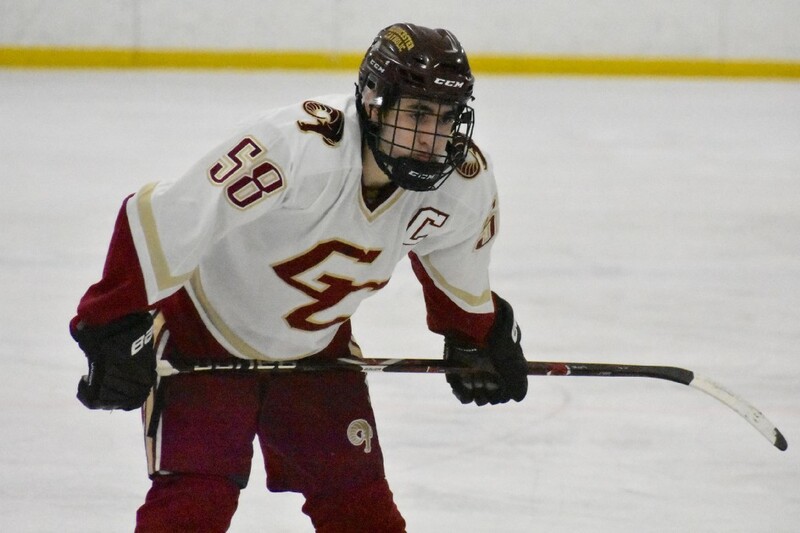 Domenic Garozzo, a Sewell resident and senior at Gloucester Catholic High School, is one of the top prep hockey scorers in the state. Entering February, he had four hat tricks in 16 games (only nine New Jersey players have more) and he’s scored a total of 24 goals in 16 games for the Rams. He also has a Division-1 scholarship in hand. 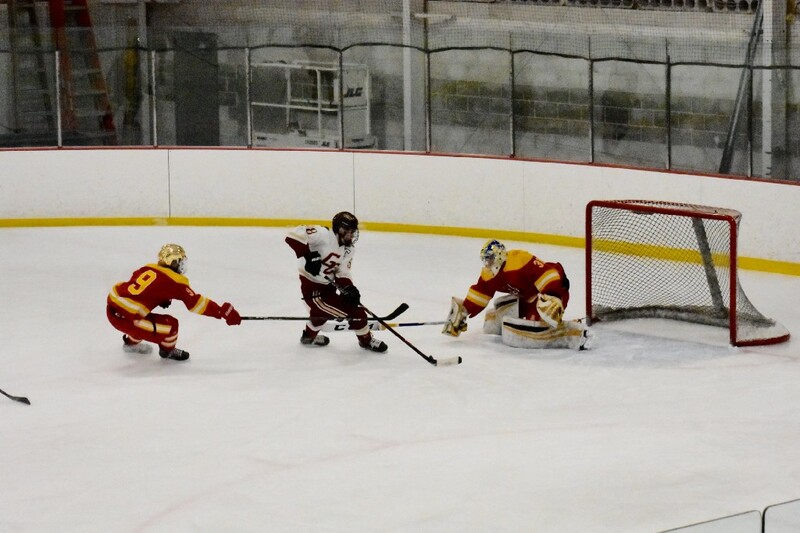 But as the 18-year-old Garozzo continues his athletic journey, he has NHL superstar, Calgary Flames forward, and Gloucester Catholic alum Johnny Gaudreau as a hockey idol, too. Garozzo began playing hockey only a few years after he learned to walk. He laced up at Hollydell Ice Arena as a 4-year-old and learned the game from the same person who taught Gaudreau. Hoping or expecting another South Jersey kid to become the next Gaudreau is about as unfair as hoping another Mike Trout emerges from local baseball fields. But reaching the ultimate goal — the professional ranks — is possible, even if you’re not a superstar like Gaudreau or Trout. Like Gaudreau, Eric and Buddy Robinson are both former Gloucester Catholic students who made it to the NHL within the last half decade. Fellow Sewell native Anthony DeAngelo currently plays for the New York Rangers, Moorestown’s T.J. Brennan played for part of four seasons in the NHL not that long ago, and Cherry Hill native Bobby Ryan is a three-time All-Star who plays for the Ottawa Senators. 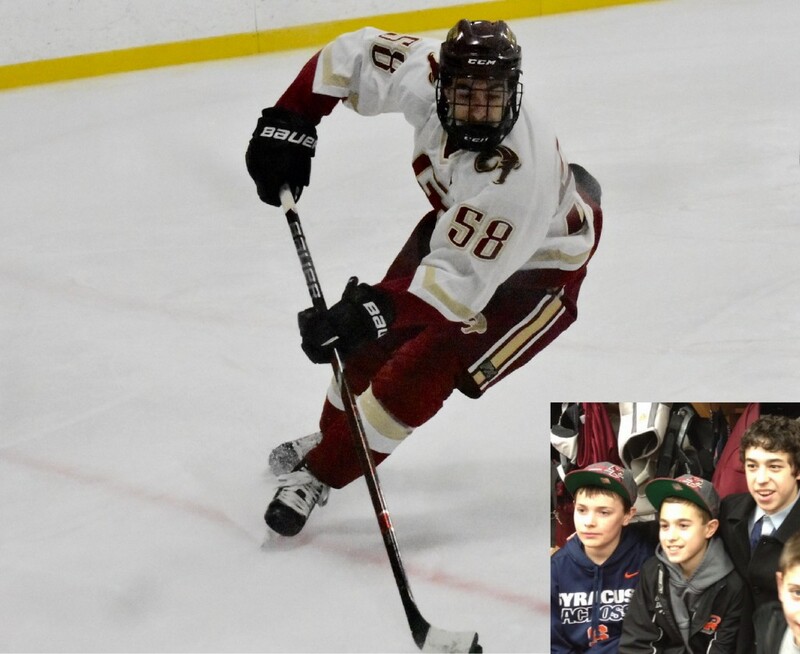 Being able to follow Gaudreau’s journey has helped keep Garozzo’s own dream alive. Before he can even think about a possible pro career, Garozzo, of course, has to graduate high school. 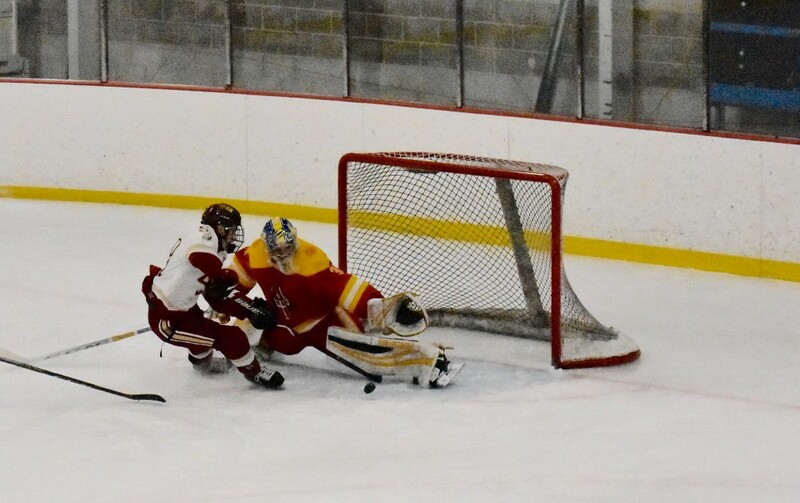 After losing in the state semifinals last year, the Rams (7–9 entering February) are hoping to make another postseason run this month despite losing a dozen players to graduation last year, including five or six defensemen who saw regular ice time. But Bunting’s team did get a boost when Garozzo decided to return to the school after spending one year at Washington Township High School. 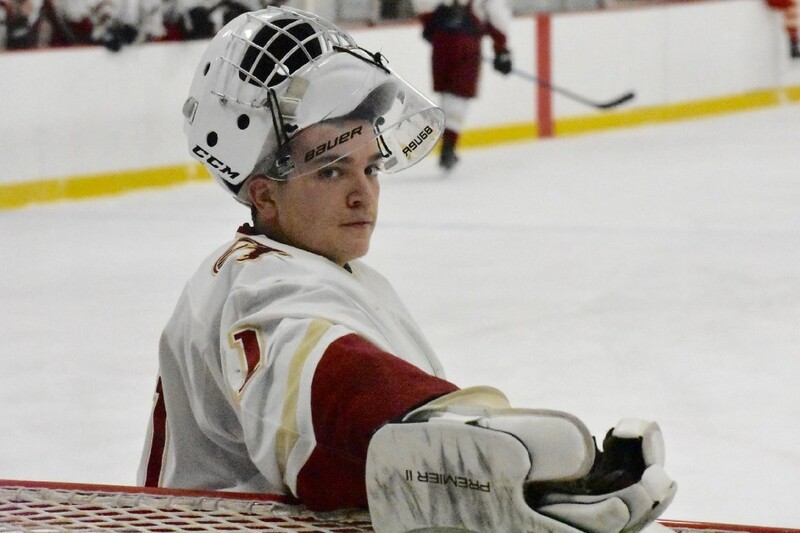 Garozzo will graduate Gloucester Catholic in a few months and begin a new chapter of his hockey journey in upstate New York. He recently committed to St. Lawrence University, a school that’s produced the likes of former Flyers coach Mike Keenan and current Devils general manager Ray Shero. The ability to play Division-I ice hockey is a blessing in itself. It also keeps the dream of one day turning pro alive.